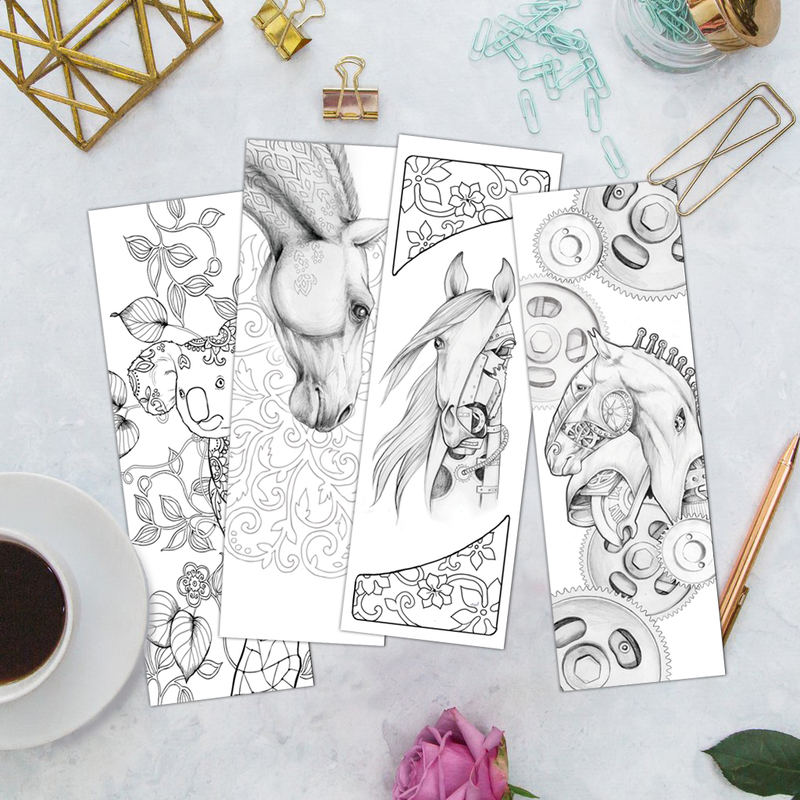 This Beautiful Set of 4 Unique Bookmark Designs Are Perfect For Your Creative Endeavors! They Make Beautiful Handmade Gifts! Click I WANT IT NOW And Order Today! This book contains more 51 beautiful drawings. These are not stock images that you see in other books. 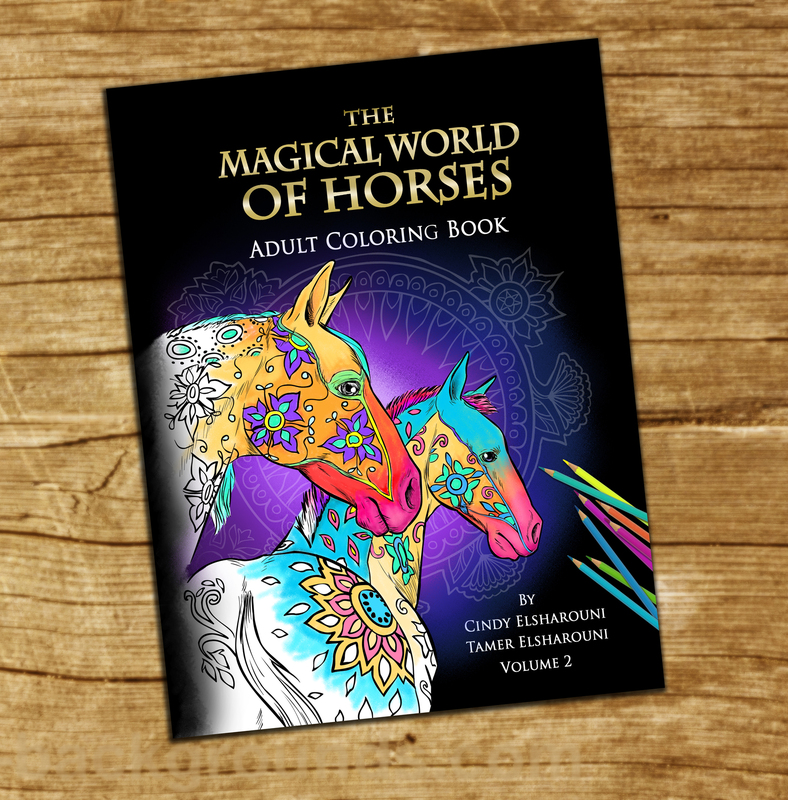 The pages include mostly animals and fantasy animals. Some have backgrounds and others do not. 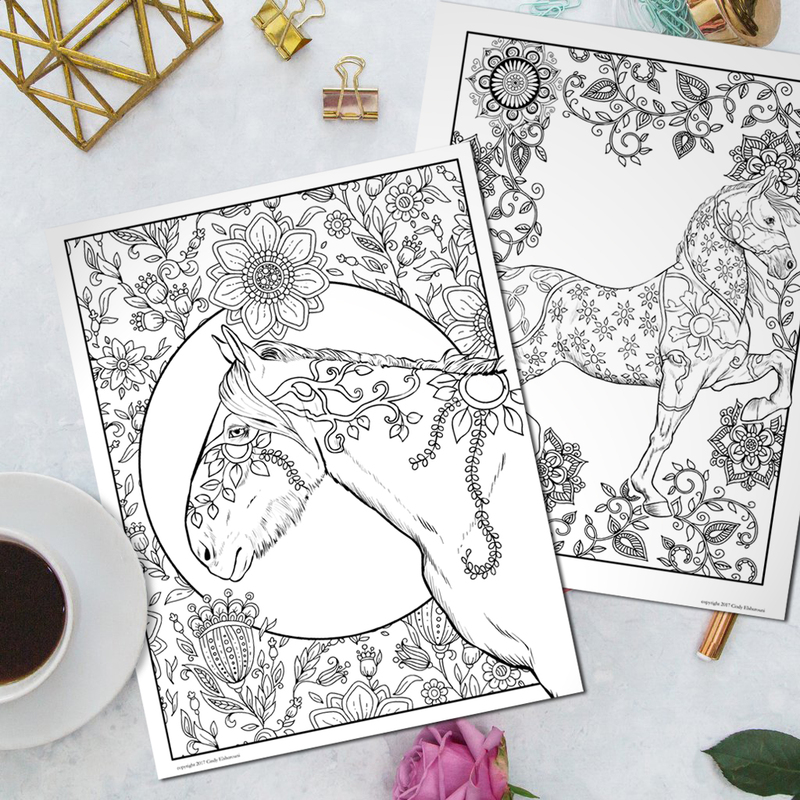 Many of the animals have some type of zendoodle on their bodies. Each page is arranged properly so the drawing does not go into the binding nor off the page. This is a very nice book. 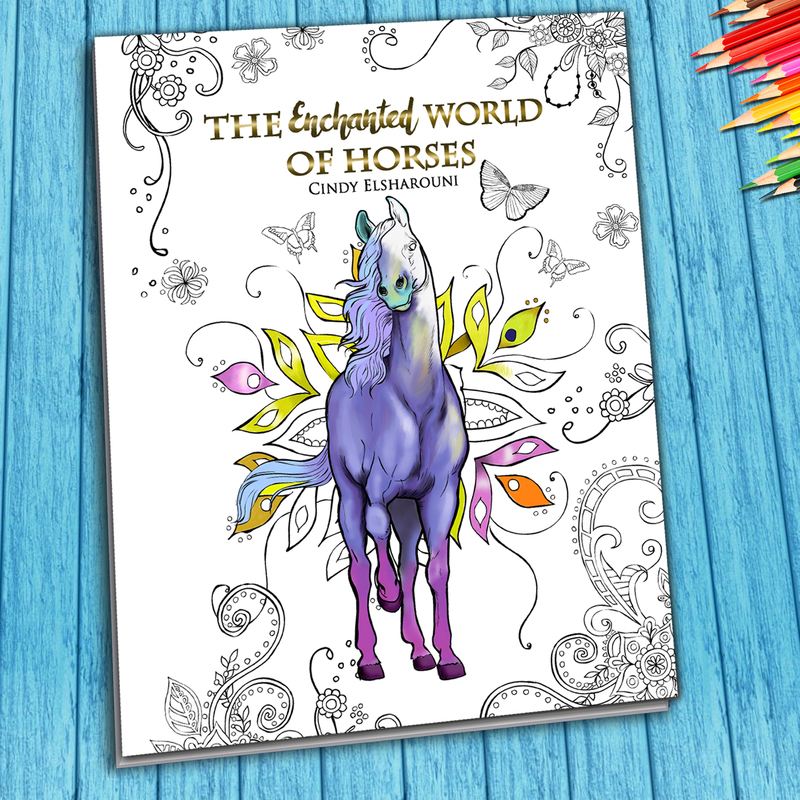 It is a large, 50 page coloring book with a beautiful and detailed assortment of horses, lions, elephants, birds, mystical creatures and more. All animal lovers will love this book! Highly recommend. Loads of gorgeous illustrations! So many original fantasy critters too! 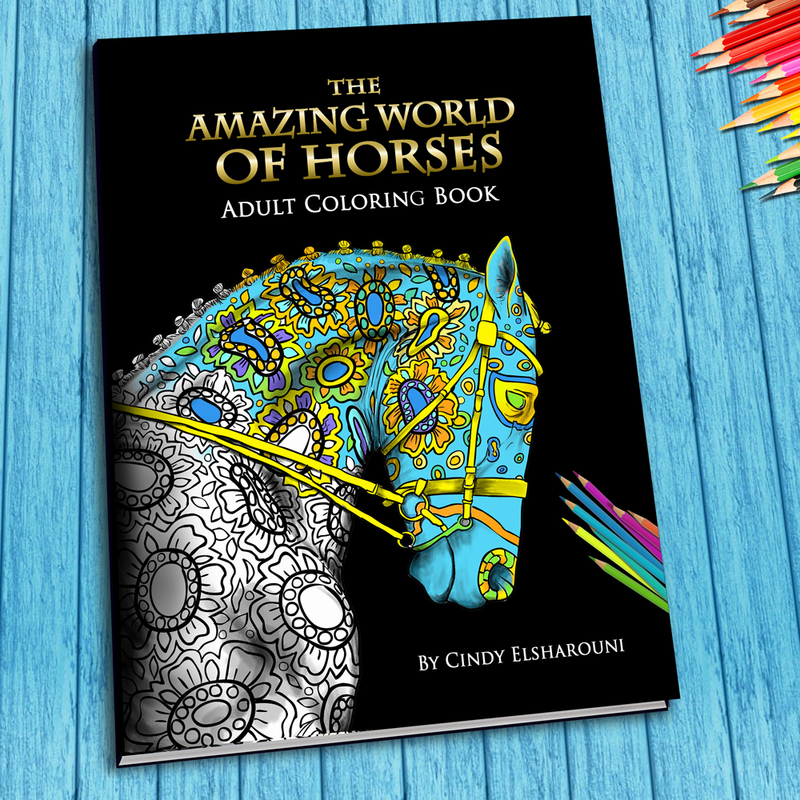 I can’t wait to see what Cindy Elsharouni comes up with next! I have all of Cindy’s books & have never been disappointed by what she creates! !